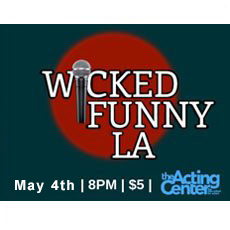 There are many acting classes in Los Angeles, but The Acting Center is an acting school like no other and considered one of the best by top industry professionals. The Acting Center is a new acting and improv school based on a rediscovered technique buried for the last 80 years. We are an acting studio that produces uniformly confident, completely certain actors who can create any character — in any emotion, in any situation—instantly. This Los Angeles acting school is for actors of every level of skill and ability. It is for the most advanced actor and the beginner. It is for award winning actors and for new actors, crippled with stage fright. It is built on a method of training that lets you expand and develop at your own rate and from your own depth of experience. By now you have probably taken acting classes based on such Method acting techniques as, Meisner, Strassberg, Stanislavski, Michael Chekhov and Stella Adler. And it may not have been the experience that you expected. In our acting classes, you will discover (or rediscover) your own style and artistic judgment. The result is an actor who is true to himself, confident, completely convincing and interesting in any role he or she takes on. Artists are different one to the next. And following one artist or teacher as the judge of good and bad, right and wrong, beautiful and ugly, inevitably creates copycat thinkers not original artists. The technique is based on learning by doing (versus watching, analyzing, overthinking) and for that reason every actor works in every class and for most of every class. And that, puts one on the road to success. 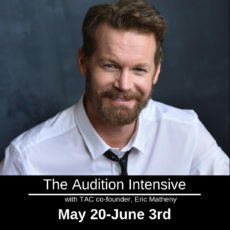 In addition, this fundamental style of acting applies to any performance medium including acting for film, TV, theater — even cold reading and commercials. Our services include character and emotion studies, monologue and scene study, commercial workshops, private coaching, intensive studies programs and career consultations as well as our popular “Inside the Industry” seminars with successful industry professionals, which discuss various topics such as publicity, getting agents, how to book commercials, etc. Not only do we provide skilled actor training, but we sincerely strive to help performers understand how to be successful in this business. Our fully trained and caring faculty are working actors and/or writers and directors with years of industry experience. Some of our teachers have taught the world over and our school has helped students from as far away as Germany, Switzerland, Iraq and Australia, to name a few. In our acting classes we have created an inspiring environment for artists so they are free to create and feel at home doing it. We are here to train you in this revolutionary new technique to enable you make it in this industry. 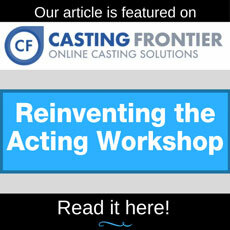 We’ve helped new actors launch themselves successfully into this business and veteran actors revive their careers. In addition, we have taken actors who have given up acting, due to harsh instruction or rejection from auditions, and turned them around so they could find fulfillment of their dreams as artists. 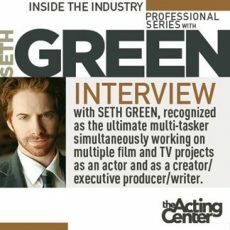 What is The Acting Center? Take all the classes you’ve been in, all the scene study, everything, Stanislavski, Meisner, all of it…now put it all behind you because this is the class, the truth of it. Plain and simple, this is acting defined, once and for all.”“I hadn’t booked in quite a while, halfway through the class, I booked a guest star and three movies back to back and it is completely because of this new technique. 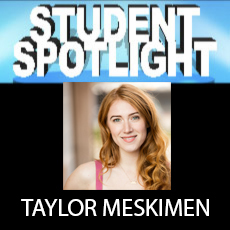 I am a student at The Acting Center.I am on set right now on my first big movie. The day before I was supposed to shoot, the director calls me and because of some unfortunate circumstances he gave my role away. He gave me a new role and I had to go on set the following day for my new role. I just wanted to take the opportunity to say how much the (Acting Center drills) have helped me in this situation. I spent months prepping for the first role and then I have to show up on set the next day as a new character. And because of all the practice with the (Acting Center drills) I was able to just BE the character. The director was impressed with my ability to be able to just become this new character on a moments notice. So I just wanted to say many kudos to The Acting Center. Being a student there has helped me grow into the actress I want to be. Thank you for all your help and teachings. Looking forward to seeing you all when I get back in town! –R.M. 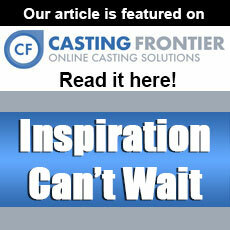 Marcus Coloma talks about the new feedback he is getting from auditions.